Your lymphatic system sometimes needs a little kick-start. Although fluid moves through the lymphatic system it does not have its own pumping mechanism and so lymphatic drainage is a type of massage that is intended to help the body to produce free-flowing lymph system. This is the gentlest of gentle massages, which can assist you in the removal of toxins and any fluid retention as well as reduce the appearance of cellulite. 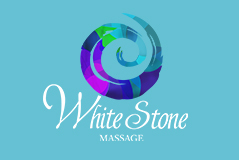 This is a very gentle full body massage that packs a punch. Works well on it’s own or can combined with Foot Reflexology or Swedish Massage to maximize the benefits.